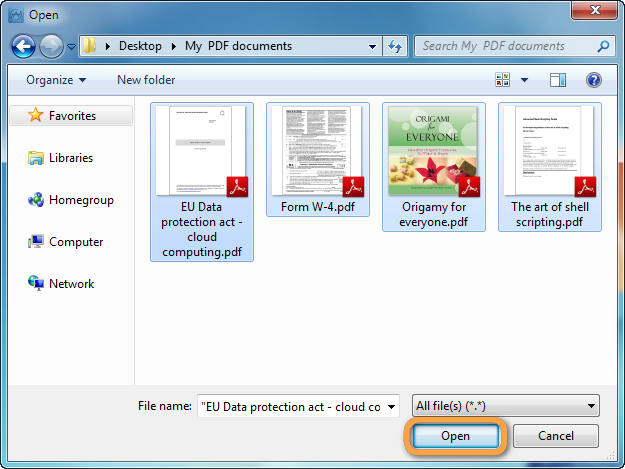 Emailing PDF and other documents to yourself to view them on your iPad or iPhone is anything but intuitive. 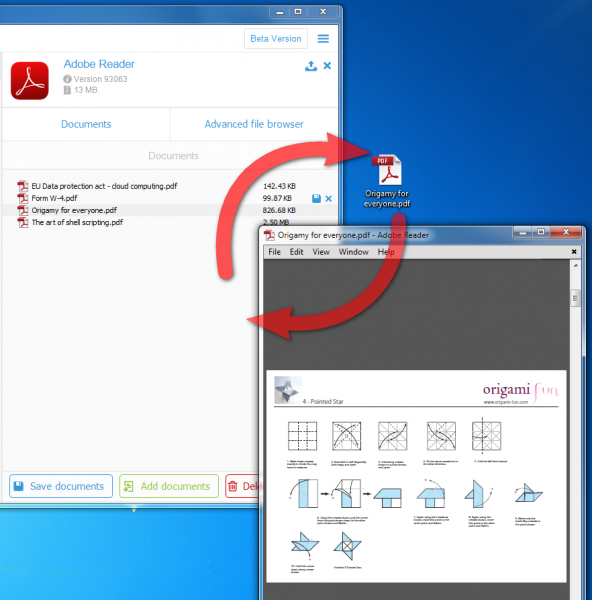 It uses up mailbox space, takes time and the documents can be too large to email at all. 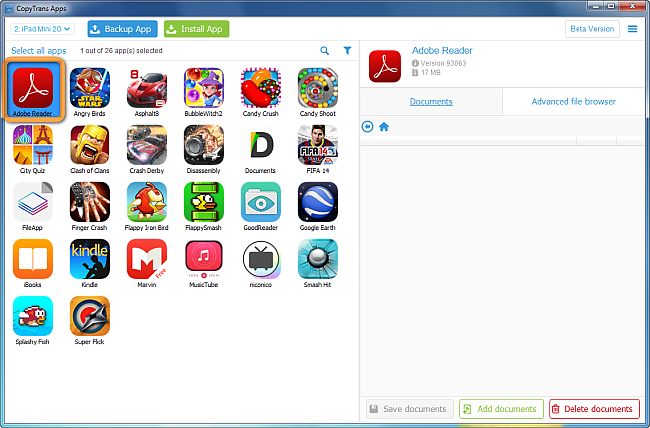 CopyTrans Apps free Beta offers an easy and straight-forward solution to transfer PDF documents to iPad, iPhone and even to your iPod Touch. Here’s how it works. 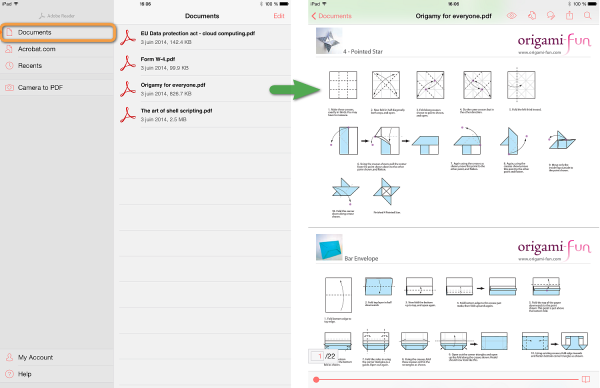 You can add PDF documents from your PC to iPad, via using CopyTrans Apps FREE Beta. Download the program on your computer from the page below. 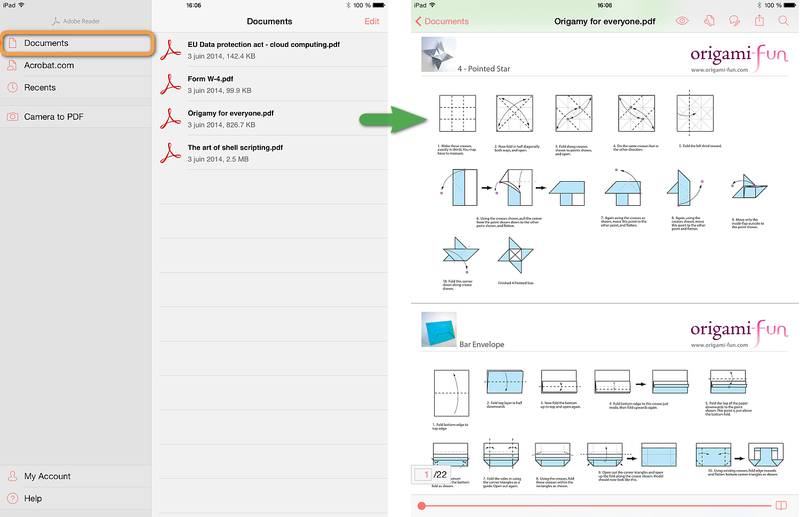 The selected documents are now accessible directly on the iPad. 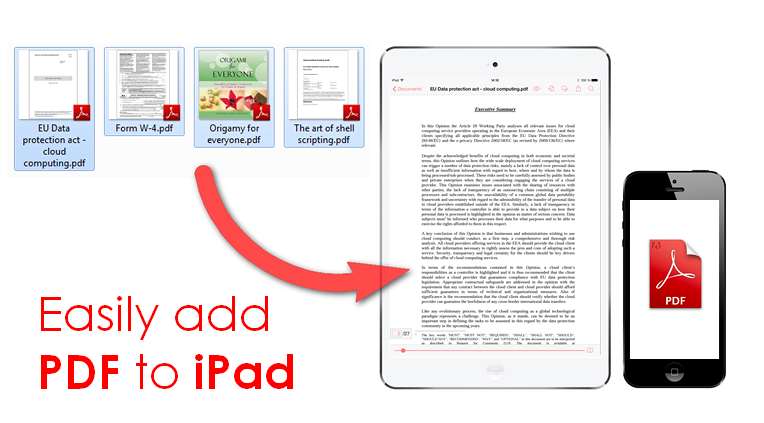 For the other way round, to transfer PDF files from your iPad to PC, simply run CopyTrans Apps, connect the iPad, select the PDF-reader app, and choose the document to transfer. 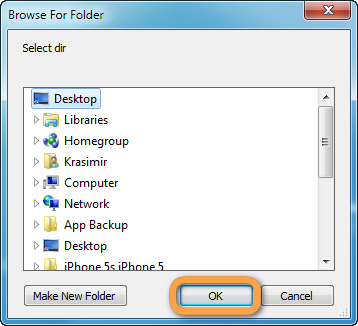 Next click on the “Save documents” button. Select the location on your computer where to save the PDF document. 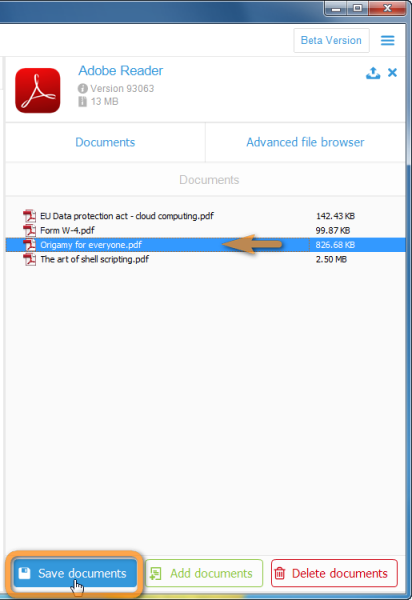 You can now readily access the PDF file from the PC. 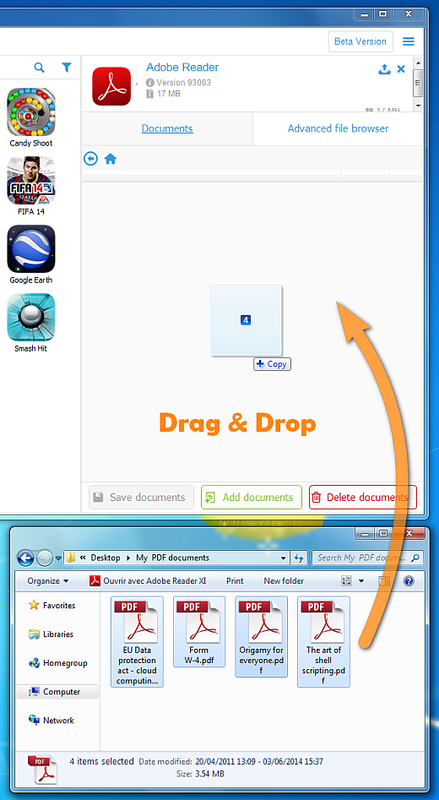 This is how to quickly transfer PDF documents between iPad, iPhone and PC.